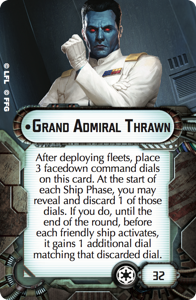 It is time to get excited about Star Wars: Armada. Not because we've had any new announcements in awhile, because we haven't. But because it is now STORE CHAMPIONSHIP SEASON! 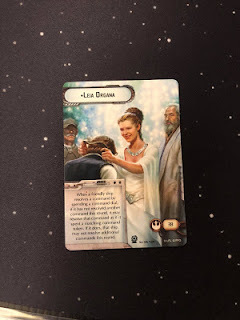 Store Championships are probably the most fun you can have in competitive Star Wars gaming. You're guaranteed 2 games of Armada (or 3 if you've got an even number of players). It's just important enough to justify road trips for people coming in from out of town (Like Q invading my local game store, or us Pittsburgh guys pushing into Ohio). But perhaps best of all is that officially the Store Championship is a Relaxed Tier event, or as it used to be called "Casual". As the Tournament Regulations say: "The focus is on creating a fun and friendly environment." and just so no one is confused, this is immediately followed with: "The Relaxed Tier is used for Store Championship events. This tournament is for you, new player that just started the game. This tournament is for everyone to have a good time. And whether or not you are a new player, this is the tournament to use to find the next big thing, or at least to find out why something won't be the next big thing. Truthiness wrote back almost a year ago about how to be contrarian. I'm going to argue that it is time to go one step further. Take a look at our Wave 7 Post-Worlds Power Rankings. Look at those "S Tier" and "A Tier" commanders. Pretend they don't exist. We're looking for B's and C's (and maybe the D's and F's if we're up for a challenge). Look at the same thing regarding ships - and toss out the ones that are too good. We want to make something work with the garbage. We want to polish those turds until they shine like a diamond. We saw this happen last year. 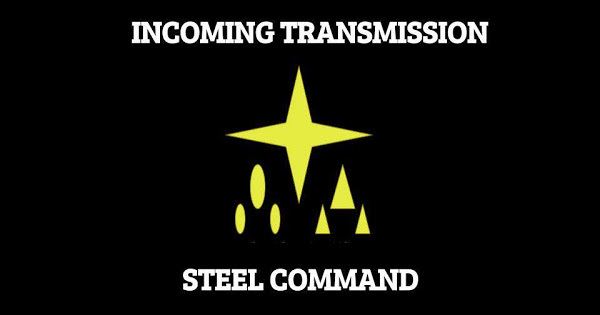 Garm Bel Iblis, a solidly "C" commander got new life as first Shmitty then later the rest of Steel Command made him work, primarily in Store Championships and then culminating in stealing a Regional with lessons learned from those Store Championships, and earned him a promotion to a "B". Geek19 is already hard at work doing it this year, taking cellar dweller General Organa and trying to get her up the charts. Others have hitched their ticket to trying to get Admiral Konstantine or General Tagge, the other cellar dwellers, to work. I kinda want to make Thrawn or Tarkin out of the C or D (respectively) range by giving them a list where they can make the most of their abilities. Seriously, don't forget them! Every ship showed up at worlds, but not every variant did. 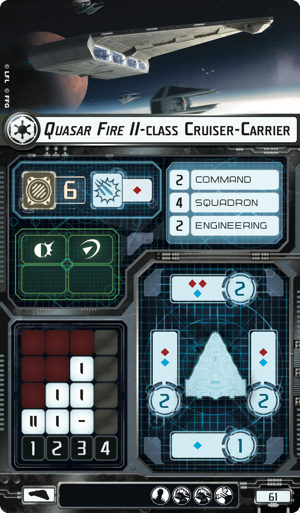 We've already seen Gladiator II's work pretty well in specifically tailored lists, and even some quality uses for the VSDI as an up-armored carrier, but there are some ships that just don't see much play, and a whole lot of squadrons left out of discussion. Interdictors have even seen a resurgence as a very difficult to crack nut. A Pelta made the final cut at Worlds. Hammerheads are everywhere, thanks to flotillas getting a huge nerf. Non-Yavaris Nebulons are still few and far between. Assault Frigate A's are almost unheard of. For the Imperials, I think we didn't see a single Quasar II at Worlds. When is the last time you've seen a Gladiator hit the table without Demolisher attached to it? And Squadrons! Phantoms are pretty rare, and got an Alt-Art card for the Q1 kits. Scurrgs keep getting forgotten in favor of cheaper bombers. Z-95s are practically forgotten, and so is Ketsu and her Shadowcasters. Hell, TIE Bomber swarms and Fireballs are practically a thing of the past. Imagine how to get them working again? I always have dreams about making Cluster Bombs work. And that is just the tip of the iceberg. There are a ton of upgrades in every slot that just do not get used. Maybe you can be the one that unlocks their true potential. Go digging through your binder and look at the upgrades you haven't touched in awhile. What is their potential? What can they do? This is the time to have fun, and try things that aren't "the best". Pull out your A game for Nationals / Continentals / Worlds. Heck, pull out your A game for Regionals too. But look hard at those B's and C's (and lower!) for Store Championships. Maybe you'll find they next crazy thing. I feel like Antonio Banderas in Zorro where I'm like "the LEGENDARY Leia Organa" before I plummet out a window onto a horse, without necessarily accomplishing my plans.